Huge news for bloggers who generate income from ads on their site. Google has announced a new ad blocker coming to the Chrome browser in early 2018. See how this change may affect your revenue stream. When a web surfer sees an interesting blog title on Google or Pinterest, they visit that site to read more details. These factors all add up to a frustrating experience for the user. And that’s what what this new Chrome ad blocker will attempt to remedy. 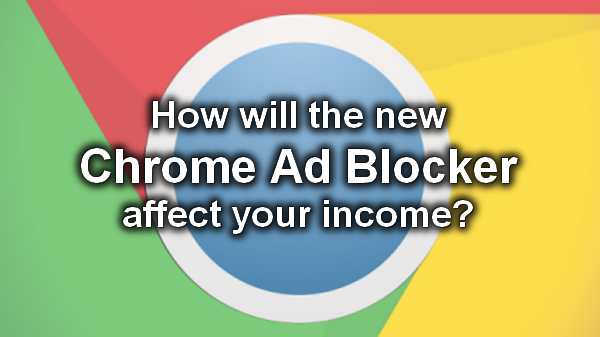 Why an Ad Blocker in Chrome? Google’s official announcement, Building a Better Web for Everyone, details why they think this change is necessary. Chrome is the dominant browser used world-wide, with 41% market share (according to this 2016 Gizmodo report). So, when Google and its Chrome browser want to affect change, things get moving – fast. Consider how quickly sites began converting to HTTPS once Google started rolling out penalties in January to display in-your-face warnings in the Chrome browser for any non HTTPS sites taking passwords or credit cards. Google is a founding member of The Coalition for Better Ads. So is Facebook, who also has a major stake in ad revenue on its own platform. The Coalition’s mission is to create a better user experience. It’s anybody’s guess right now how this new scoring system will affect ranking with Google and other search engines. How Will it Affect Revenue? That’s literally the $64,000 question, isn’t it? David Chavern, President and CEO of News Media Alliance, states that the Coalition is comprised of members who make a significant investment in content marketing that is sustained by advertising. So, this move is certainly not aimed at taking money out of anyone’s pocket. The goal is to gather data and implement changes that contribute to an even more enjoyable and engaging experience for web surfers. In other words, they’re applying standards to stop irritating viewers and to put them in a better mood for clicking on the ads, and then maybe buying something. 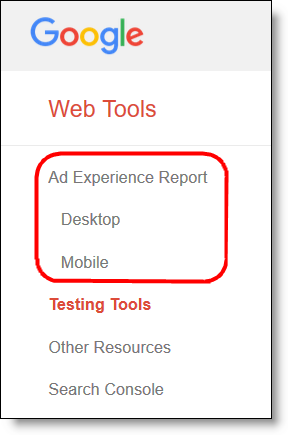 What’s the Difference in a Good and Bad Ad Experience? 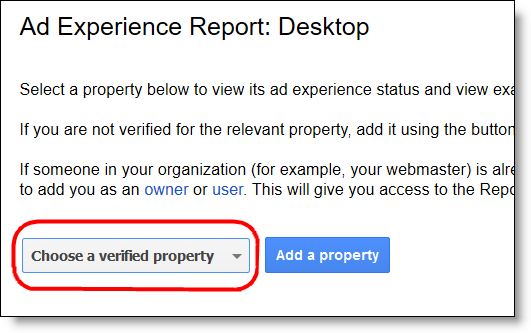 So, Google built an Ad Experience Report testing tool in an effort to give more concrete examples of what constitutes a pleasant or irritating ad experience on your site. 1. 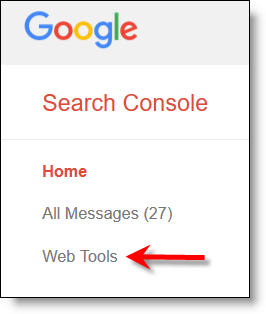 Log into your Google Search Console account. You will see the status of your site’s review or if it has not been reviewed yet. If it has been reviewed, there will be a video of the experience. Keep in mind that this is a fairly new tool and it may take a while for Google bots to naturally get around to reviewing your site. At this time, I don’t see a way to request that Google test your site on demand. That may change in the future. READ: Integrate Google Search Console Data into Google Analytics for more details. What About Current Ad Blockers? A rising number of frequent web surfers have already installed an ad blocker browser extension. In fact, the rate of folks using ad blocker extensions has increased 30% from 2015 to 2016 and is still growing. In an effort to get folks to turn those ad blockers off, Google has released a new program called Funding Choices. So, why would anyone pay for this service? Because more ad networks are going to install ad blocker buster code into sites that carry their ads, making the ad blocker extensions less effective. If future ads are more appealing, then viewers might be tempted to turn them back on rather than pay that fee. My guess is that it will be hard to convince them that either of these choices is a step forward. Funding Choices allows the site to have a conversation with viewers who use ad blockers and give them an opportunity to whitelist the site. I don’t know about you, but I’m even more sceptical about this working than I am about YouTube Red, which is an ad-free paid option. Does anyone else have a deja vu feeling about what’s happening on the web now compared to back when network TV started competing with cable? Feels the same way to me. If you want your entertainment for free, be prepared to see ads or pay to remove them. If you want help crafting the right message to use with Funding Choices option, see this post on DoubleClick for suggestions on How publishers can engage with people who use ad blockers. Most ad networks have significantly improved the quality and speed of the ads they deliver. Gone are the blinking, spammy looking ads that looked like you’d download a virus if you clicked on them. Plus, the larger ad networks are now delivering their ads over a CDN to compress and speed them up. But honestly, when your site has 10 ad placements and 500 requests, it’s still going to be painfully slow, no matter what other measures you take to speed it up. The sheer number of ads is the problem. Many of my site audit clients have increased their revenue by running fewer ads. Their pages load quickly, and visitors stick around longer, giving them more opportunity to see and click the ads. In head-to-head tests, we recorded a difference in load time of 6 seconds compared to 40 seconds just be removing the ads. We were able to get the no-ad load time down to 2 seconds or less. But, shaving off 4 seconds from a 40 second load time isn’t accomplishing anything worthwhile. So, I’m in favor of these new, better ad standards, and doing every other thing possible to improve the user experience. Because I’ve seen it with my own site audit clients, I believe it will generate more revenue for the site owner in the end. I specialize in helping craft, foodie, and lifestyle bloggers have top performing sites. A full site audit is a great way to find all the security and performance drags on your site. I also offer real HTTPS conversion that is fully Google/Chrome compliant, not the chicken wire and duct tape way of doing it with plugins. And, I can help ensure that your site is properly connected and integrated in all ways with Google Analytics and Google Search Console.